SAN ANTONIO – The road to recovery from Hurricane Harvey is just beginning in Texas. 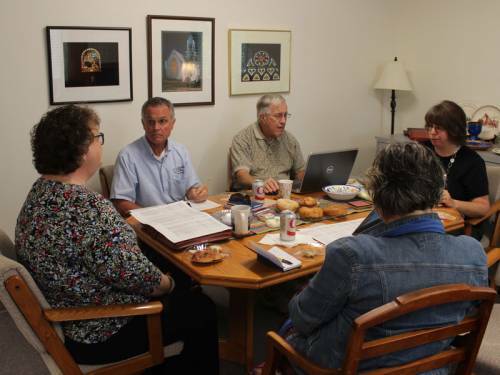 For Mission Presbytery and the Presbytery of the New Covenant, the primary task in recent days has been to maintain communication with churches and congregations in the storm’s path. Presbyterian Disaster Assistance is in the midst of a six-day visit to both presbyteries to meet with leaders and help them in recovery planning. 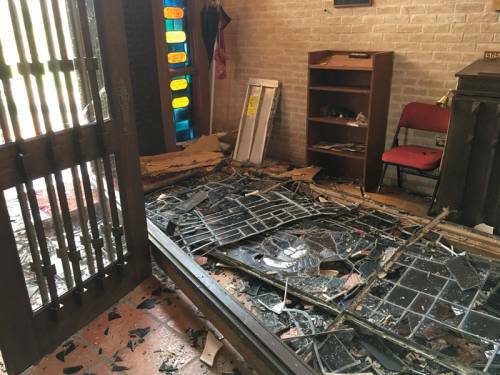 During a meeting with Mission Presbytery in San Antonio on Wednesday, presbytery leaders provided a list of churches damaged by the storm and shared stories of recovery and hope. Watson said a free-standing building behind the church, used as a food pantry, was also devastated. She added that church members are trying to salvage canned goods. Most of the churches in the presbytery report minor damage and, Watson said, many are willing to do what they can to help other churches and people in the community recover. Kraus suggested that churches with minimal damage seek confirmation with an independent adjuster saying there could be hidden damage that they cannot see right now. In the meantime, churches are working to help those with a greater need. Tedrow said she was also moved by some of the heartwarming stories she heard from churches and families willing to help. 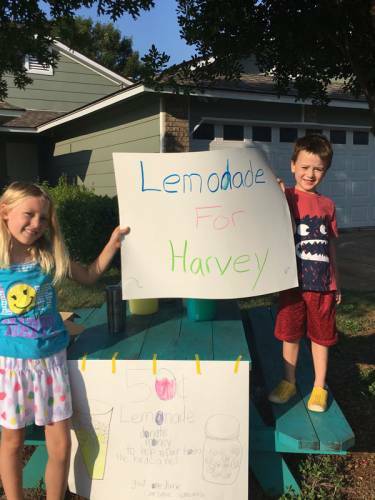 She mentioned Zanna and Wyatt Allen, ages 8 and 5, from Austin, who decided to open a lemonade stand to raise money to help people who lost their homes. The children’s mother is associate pastor of First Presbyterian Church in Austin. Tedrow said she heard from a number of Presbyterians who are willing to do what they can, even while dealing with their own post-storm struggles. On Thursday, PDA and presbytery leaders visited the impacted areas including Port Aransas, Refugio, Rockport and Victoria. PDA will head to Houston on Friday to meet with the Presbytery of the New Covenant.